Ajuba Solutions India Jobs opening 2018-2019 for Non-Voice Process download application At www.ajubanet.net. Ajuba Solutions India walk-in for Non-Voice Process has invited applications from interested, eligible candidates to fill in the vacancies Interested candidates can apply on through official website. who have not applied until now can follow the instructions below and apply Online. 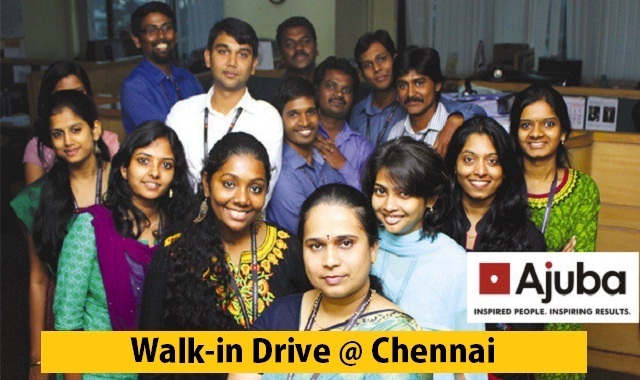 Direct Join Ajuba Solutions India Walk-in Drive Freshers/Exp - Apply Now. Perform posting charges and completion of claims to payers in a timely fashion. Convert dosages to billable units. Submit billing data to insurance providers. Work claims and claim Denials to ensure maximum Reimbursement for services provided. Perform Medicare reviews and audits. Implement, Maintain and Report on programs initiated by the practice. Food & Transportation is complimentary. Strong knowledge of MS office. Able to multi-task and meet tight deadlines. Willingness to work in night shift. Landmark: Opposite to Tiruvanmiyur Railway Station.